'Today' hosts tear up while dedicating heartfelt letters to their daughters -- watch! It was an emotional morning on the Today show. 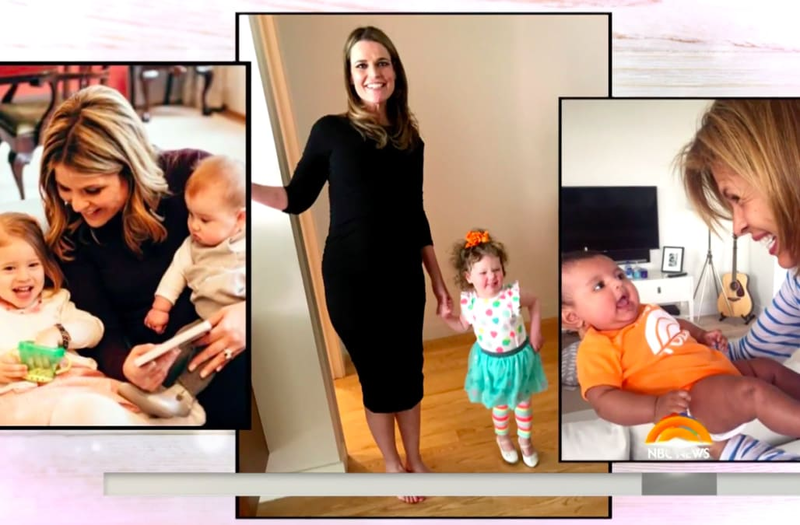 The NBC program is celebrating "Love Your Body Week" and on Tuesday, Hoda Kotb, Savannah Guthrie and Jenna Bush Hager shared heartfelt letters they wrote to their daughters about self-acceptance, loving their bodies and themselves. "My Dearest Vale," Guthrie began. "I hope that as you grow up I can teach you to love and embrace the miraculous, physical vessel that is carrying your magnificent heart and soul." "Dear Haley," Kotb said to her adopted daughter. "Some thoughts about the perfectly put together you: Your eyes, use them to see the good in people and each day. Your smile, share it often." "To my darling girls, Mila and Poppy," Bush Hager read. "I have never seen anything more beautiful than the two of you." The Today show hosts continued to share warm messages of staying positive and teared up when they spoke about their daughters and how they want the best for them. "I want you to love your body, not because of how thin or tall or pretty you may grow up to be, but because it is truly a miracle," Guthrie said. "When you think about your body, let's think not about how it looks, but about all the things it can do." Hager also added, "If Daddy and I do our jobs, you will look in the mirror and always like who you see. Always know that just by being authentically you, you are more than enough. And my hope is that one day, when you stand judging yourself in front of a mirror, you can see yourself the way I that I see you." Guthrie is mother to 2-year-old daughter Vale and almost 6-month-old son, Charles. Meanwhile, Hager has two daughters, 4-year-old Mila and 1-year-old Poppy, and Kotb adopted her baby girl, Haley, in February. The 52-year-old TV personality shared the news on the Today show, telling the audience, "She is the love of my life."